OK, I am going to make this, maybe with a tad more brandy, in the cook, in the mince, who knows! A whole nutmeg is a daunting quantity! After all the spices listed in the other recipes, I’m really surprised this one has only nutmeg. Sure??? yes, just the one spice is needed, though you could add different ones I suppose, but I followed this one and the mincemeat was excellent. It’s mainly about the fruit and booze really. I love mincemeat, but use a modern version without meat or suet. All forms of mincemeat are very good in my opinion. I have another recipe that I use that doesn’t contain meat, though I always add suet. Can you tell that there is no fat, or does it actually not make any difference? Yo Butterballs. I want mince pies like the kind of mince pies I’ve always eaten in the UK (the good deep-filled stuff). 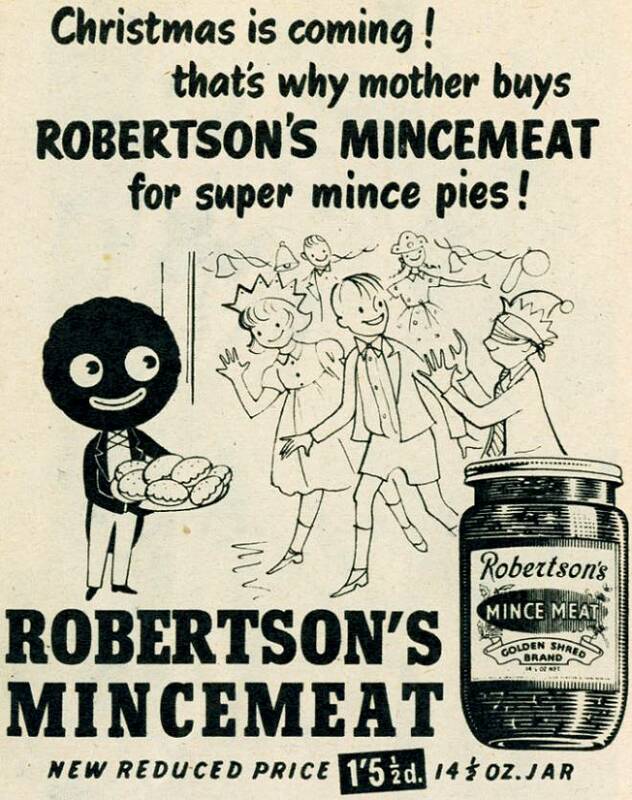 Do you know if the mincemeat they sell in shops here is any good? If not, could you recommend a recipe for normal-tasting mince pies? I feel the need to educate/treat my colleagues. Hope all is super! I have never tried the mincemeat here, though I do know it is filled with corn syrup, which can’t be good. You can probably order some Robertson’s off of Amazon.com – they’re pretty good with stuff like that. Where do you get your suet? I’m in Kansas and I haven’t been able to find any that didn’t have to be rendered first. Not that I couldn’t manage that, I suppose, but it seems rather daunting! You’ve two options wit the suet: either but the packet stuff called Atora. You csan get on Amazon these days I think – it’s quite good, though not as good as fresh. I ordered some suet from the beef farmer at my local farmers’ market. 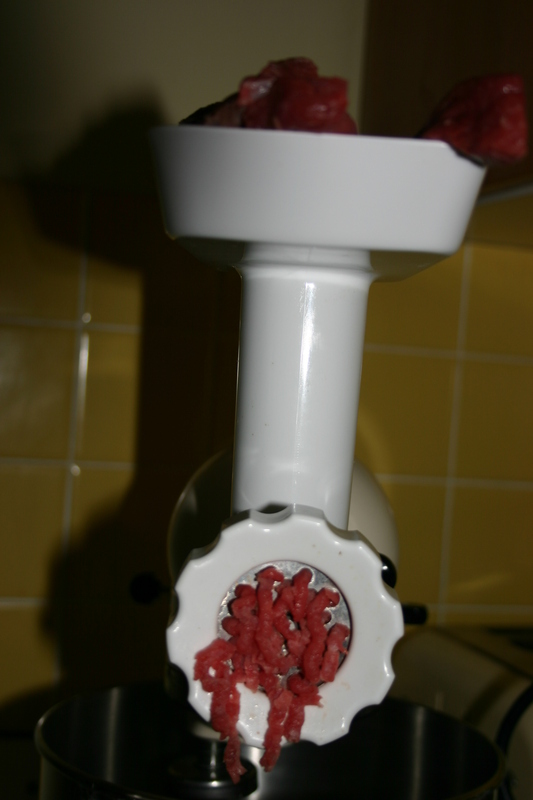 Suet should never be rendered – it’s the chopped fat from around the kidneys. I’ve spoken to others that think it needs to be rendered… hope that’s some help…. My son and I are planning to make the traditional English mincemeat because I’m allergic to cloves and he’s interested in the traditional. He lives in England and I’m in Canada so I will be making the mincemeat before he arrives for Christmas. We’re wondering how long one can store the mincemeat in the sterilized jar…will the brandy keep everything from going off, or should it be refrigerated at some point, and if so which point. I don’t have the ability to sterilize everything once it is in the jar. Hi Stephanie – the mincemeat will be preserved because of the brandy, as you say. You can store it in the fridge r somewhere cool once opened. I have used mincemeat that’s been 2 years old and it has been perfectly fine. Hi Ron – you don’t need to cook it, the alcohol preserves everything perfectly well – it does get cooked when you bake your pies of course. 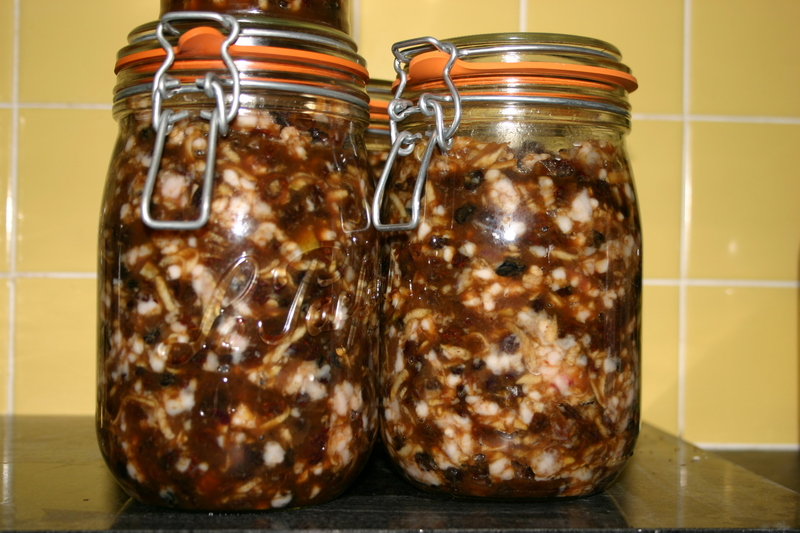 Can you eat raw mincemeat? I’m just worried the meat will go off?? I’m in Australia where it’s steaming hot atm. Would the fridge be OK too? Haha. The fridge is fine too.